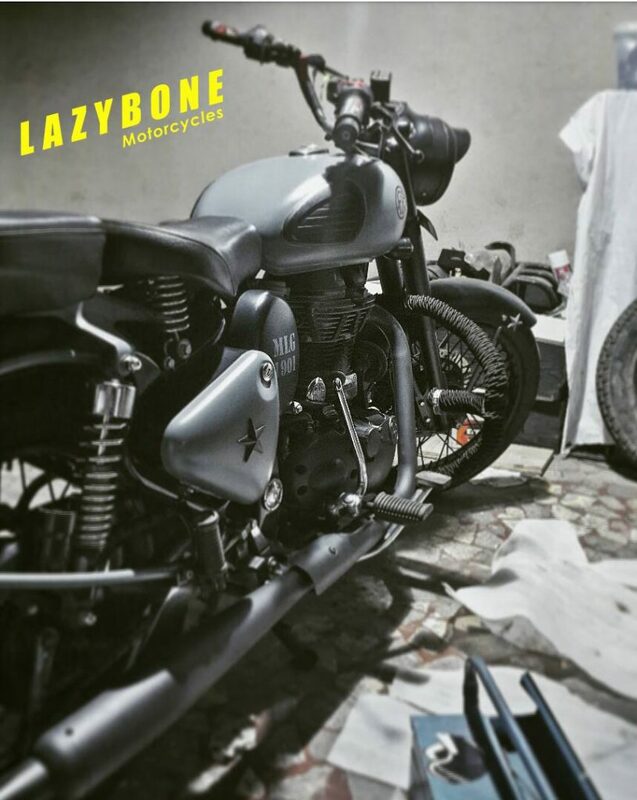 Lazybone Motorcycles are here with a completely different strategy on a Royal Enfield Classic 350. 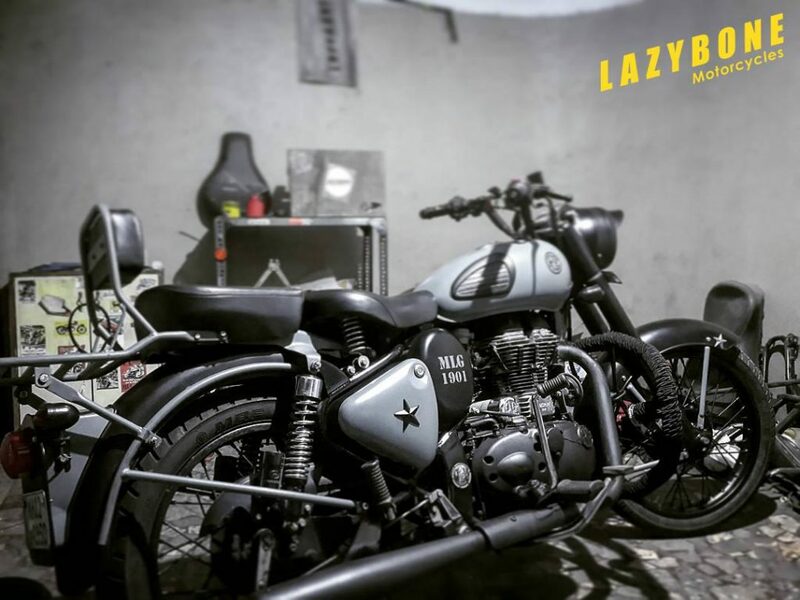 While others try filling the heavyweight champion with vivid colors, Lazybone used Grey in order to achieve a mature point of understanding with their machine. 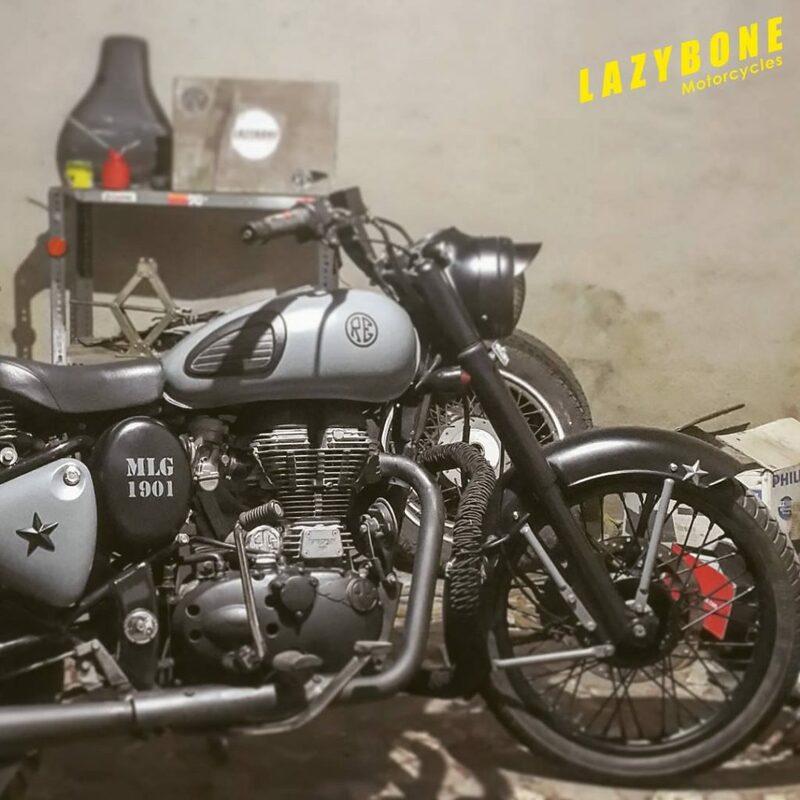 Adding contrast to this shade, Matte Black was used on both the fenders while Grey can be seen exclusively on the fuel tank and air filter box. In order to keep most things away from chrome, they have used Matte Black on both the rims. 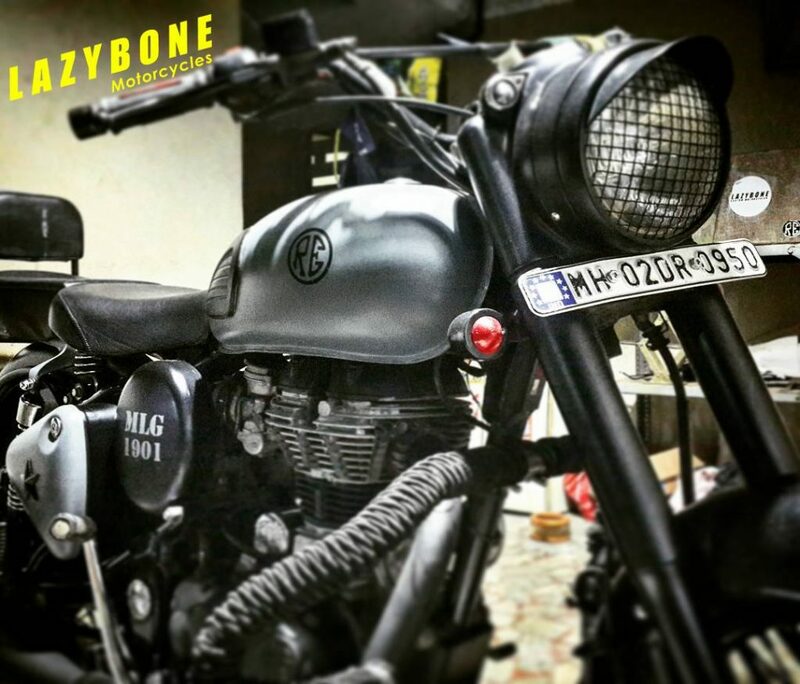 However, keeping the spoke rims enhance the off-road stability of a Royal Enfield motorcycle. 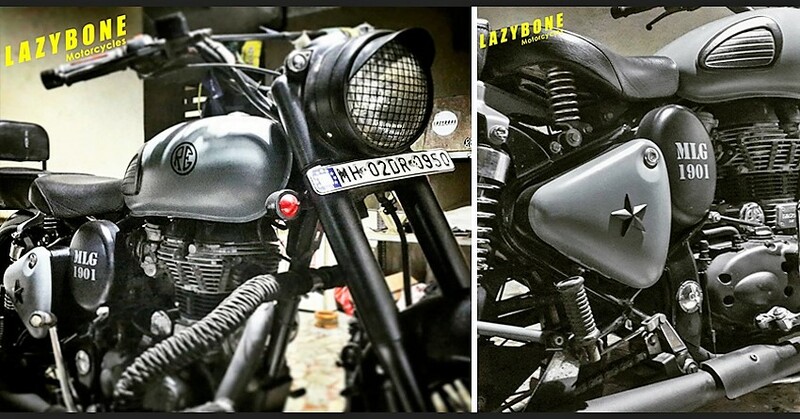 The best part of Lazybone ‘Army Grey’ is the use of a custom carrier after the pillion seat. Apart from using that practical backrest, one can easily carry considerable luggage on long trips. This even acts as a safety measure for the rear lights. Keeping most things in stock condition, they used a Black custom exhaust in order to achieve a better exhaust note on the motorcycle. The huge leg guard was wrapped with Black nylon rope while one gets an impressive riding posture through the wide custom handlebar. The rear suspension retains its chrome character on this typical Classic 350. Royal Enfield Classic 350 is powered by a 346cc, single cylinder air cooled engine producing 20 PS at 5250 rpm and 28 Nm at 4000 rpm. 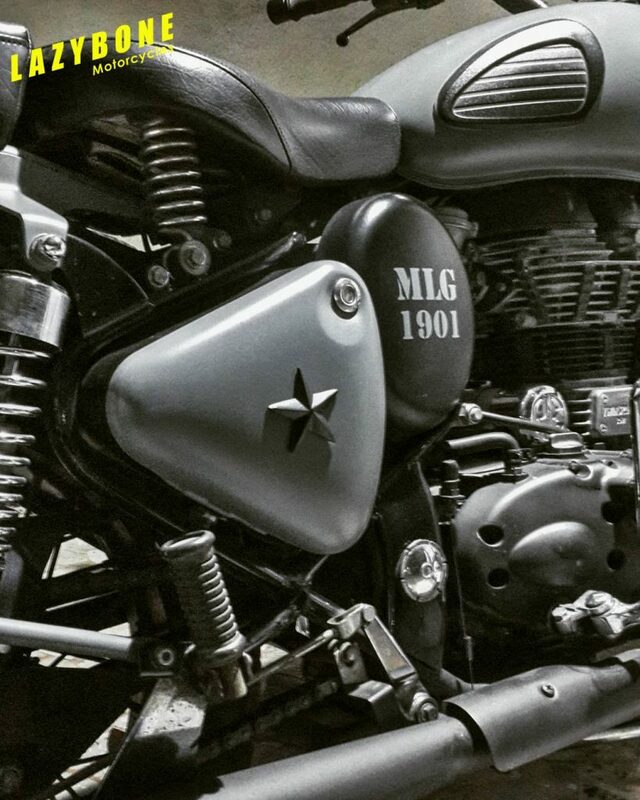 The same engine is used on all 350cc models like Bullet 350 and Thunderbird 350. The engine comes mated to a 5-speed gearbox. 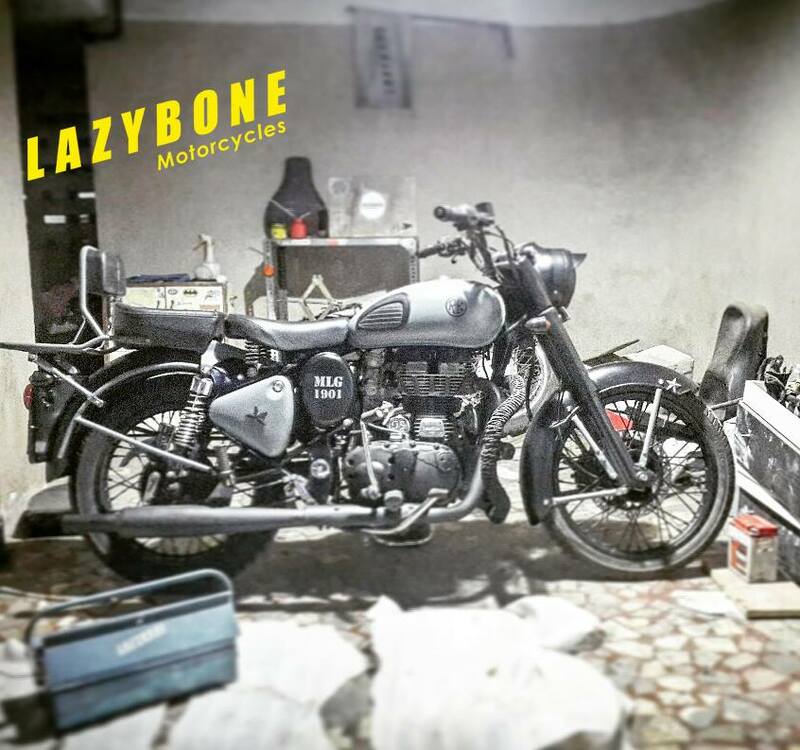 The stock fuel tank on Classic 350 carries 13.5 liter fuel tank whereas the one used on Thunderbird series is good for 20 liters of capacity. Estimated range for Classic 350 is 500 kilometers within every refill while Thunderbird can be expected to deliver more than 750 kilometers in the same interval.